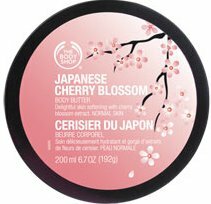 While writing my review on The Body Shop - Japanese Cherry Blossom Perfume i realized i do have a range of Japanese Cherry Blossom fragrance be it The body shop or Bath & Body Works. I had their hand wash and mist. the mist seriously is one of the most alluring scents...and it stays on for a long time. one of my favorite for sure!